A spunky series for any girl who dreams of being a princess. The book even looks magical --- it's printed on yellow pages! 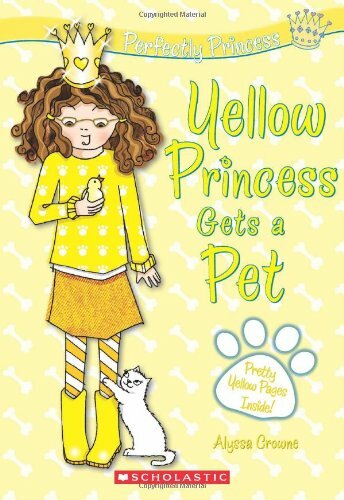 For as long as she can remember, Abby has wanted two things: to be a magical princess and to get a pet. And now one of her dreams is about to come true --- she's adopting a pet! At first, Abby can't make up her mind about what animal to get. A yellow canary? A sweet little bunny? A fluffy white kitten? But Abby's in for a surprise. The perfect pet for this princess may be the last thing she expects! Fun princess craft ideas are included in the back of the book! If you have any questions about this product by Scholastic Paperbacks, contact us by completing and submitting the form below. If you are looking for a specif part number, please include it with your message.